In a recent article, we talked about the pros and cons of taking a company public via an initial public offering, or IPO. The allure of an IPO can be strong, as it may represent the chance to cash in on a lifetime of hard work spent building a company. But there are potential drawbacks to going public as well, including the cost, a loss of control, and pressure to meet the expectations of investors and other new stakeholders. Are your earnings steady and predictable? Companies with a more erratic financial performance—and with inconsistent earnings, in particular—usually aren’t the best candidates for an IPO. Wall Street doesn’t like surprises, especially when they negatively impact profitability. Is there potential for strong future earnings growth? Investors are primarily interested in companies that they believe will grow sales and earnings rapidly in the future—at least 20-30 percent per year in most instances. Consistent growth and stable margins from one quarter to the next are critical for most public companies. Do you have a deep, talented and experienced management team? Before taking a company public, investment bankers and underwriters want to be assured of the talent and experience of the managers responsible for running the company. This includes the CEO and CFO, of course, as well as other key executives, such as the sales and marketing director, the director of human resources and the production manager if yours is a manufacturing company. In particular, they like to see a depth of industry experience. If key executives have worked at other public companies or been through an IPO before, this is usually considered a plus. Is your company well positioned in your marketplace? What is your competitive position in your industry? Does your company have a strong unique selling proposition (or USP) that helps distinguish you from your competitors? Do you have a profitable customer niche that is loyal to your business and/or brand? Factors like these can go a long way toward helping ensure future stability and growth. How “hot” is your industry? Different industries tend to go through phases of popularity with the public and the investment community. The technology and Internet boom of the late 1990s is a good example. Of course, this ended badly for many technology and Internet startups during this time, but not all of them. eBay and Amazon went public at this time, and they remain among the iconic names of Internet businesses. How large is your company? If you’re too small, you probably won’t be able to afford or justify the high costs of an IPO. While there is no minimum size requirement for a business to go public, as a general rule, companies with less than $100 million in annual sales usually aren’t good candidates for an IPO. A successful IPO requires a team of professionals who are experienced in all the various aspects of going public. The team is usually headed by an investment banker, who is the “quarterback” of the IPO team. The size of your company and your offering will play a large role in your selection of an investment banker. You will also need to hire a corporate law firm that specializes in IPOs and has experience in SEC filings. Of course, your CPA will also play a large role in an IPO. Your financial statements and accounting records will be scrutinized by the underwriter, so they need to be thorough, accurate and above reproach. Incomplete and inaccurate accounting records—including records from the early history of a business — are one of the main causes of delays and disruptions in the IPO process. In addition, an outsourced CFO services provider can serve an important role as a member of your IPO team. 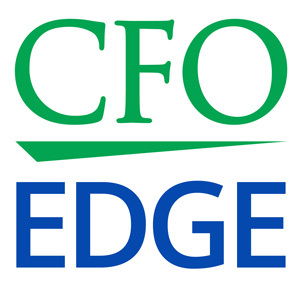 As someone who has worked in various financial capacities with other companies (both public and private) similar to yours, an outsourced CFO services provider brings a unique perspective to the IPO process. The going public decision is one of the biggest that Los Angeles and Southern California CEOs and CFOs may have to make if they want to take their companies to the next level. Many factors go into this decision, as we’ve discussed in these articles. An outsourced CFO services provider can help you answer the questions we’ve raised here, walk through the decision-making process with you, and serve a valuable role on your IPO team if you decide that going public is the right move for you.